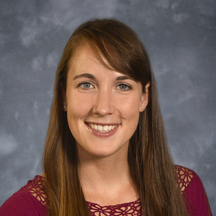 Dr. Scharf earned a Bachelor of Science in Earth Systems from Stanford University and her DVM degree from Texas A&M University prior to completing a rotating internship at The Ohio State University. She completed a surgical residency and earned her MS focusing on translational oncology at the University of Florida. Her research interests include minimally invasive surgery, spontaneous pneumothorax, surgical oncology and endocrine neoplasia, and the role of companion animals as models of environmental exposure. 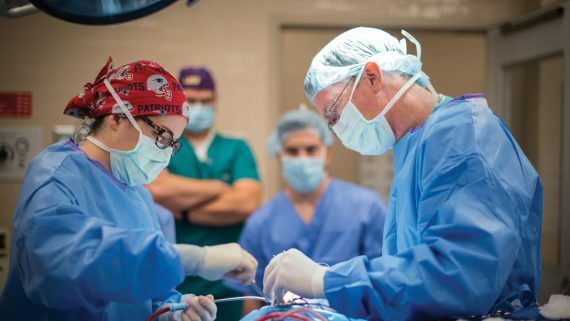 She also has a strong interest in teaching and developing new strategies for surgical education. Development of novel minimally invasive surgical modalities. Role of companion animals as models of environmental exposure and disease. Etiology and treatment of spontaneous pneumothorax. Effects of aurothiomalate treatment on canine osteosarcoma in a murine xenograft model.Scharf VF, Farese JP, Siemann DW, Abbott JR, Kiupel M, Salute ME, Milner RJ. | Anticancer Drugs. 2014 Mar; 25(3):332-9. Effect of bevacizumab on angiogenesis and growth on canine osteosarcoma cells xenografted in athymic mice.Scharf VF, Farese JP, Coomer AR, Milner RJ, Taylor DP, Salute ME, Chang MN, Neal D, Siemann DW. | Am J Vet Res. 2013 May; 74(5):771-8. Comparison of laparoscopic and open cystopexy in an ex vivo canine model.Alvarez WA, Scharf VF, Case JB. | Vet Surg. 2014 Sept 30 [Epub ahead of print]. A retrospective evaluation of the efficacy of isolating bacteria from synovial fluid in dogs with suspected septic arthritis.Scharf VF, Lewis ST, Wellehan JF, Wamsley HL, Richardson RL, Sundstrom DA, Lewis DD. | Australian Veterinary Journal, Accepted for publication Nov 2014. Comparison of 16S PCR and bacterial culture in the diagnosis of septic arthritis in dogs.Scharf VF, Lewis DD, Wellehan JF, Wamsley HL, Richardson RL. | Australian Veterinary Journal, Accepted for publication Nov 2014. 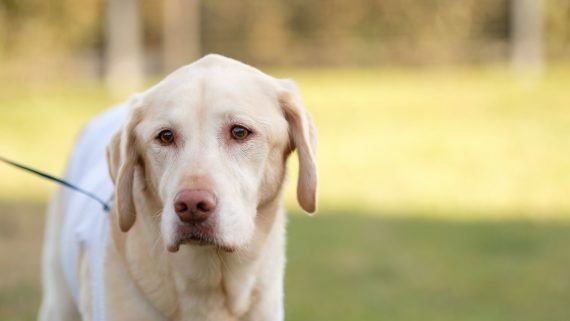 Everyone who meets Bella the Labrador retriever describes her as always sweet. 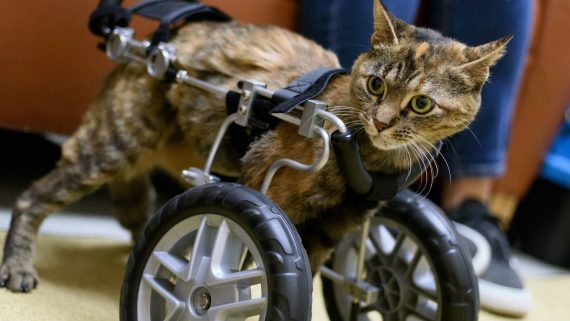 Her owner, Valerie Maitre of Wilmington, would add another description: always hungry. So it was alarming two years ago when Bella’s appetite suddenly wasn’t as robust as it always had been. Her energy level waned; she just wasn’t herself. Then it got worse.